Put some furniture into your investment property and get higher rents and some extra depreciation allowances. On the surface it sounds like a simple and a smart thing to do, but in general I don’t recommend that investors furnish their rental properties. We have found furnished investment properties more trouble than they are worth. When you supply furnished apartments you are more likely to get transient tenants who tend not to be as stable and usually end up giving landlords more headaches. I like to know that tenants have managed to save enough money to afford their own belongings. When they have got an apartment full of furniture it makes it much harder for them to just up and leave if. There is a misconception amongst some investors that if you put a plasma TV screen in your rental property you will attract great tenants. At the moment with the shortage of rental properties it is not difficult to attract tenants anyway and on occasions I have seen prospective tenants not like a particular furnished apartment because they don’t like the look of the lounge suite. Tenants of unfurnished properties tend to be more stable, while the more transient tenants in unfurnished apartments tend to move on more frequently. Every time there is a turnover in your tenants there is a cost to you. Each time they move out you have a few days or more likely weeks of vacancy and you pay management fees to re let your property. These costs, plus the cost of replacing furniture. soon eat away at your investment yields. Investors who do furnish their properties have to keep renewing their furniture to make their property look good because once your furniture starts to look old and tired it’s going to drag down rentals. Talking to investors who have tried furnishing their properties, many have given up and ended up selling their furniture or just throwing it out. There is just not a lot of demand for furnished rental properties in many suburbs. The market when renting furnished properties works best is the short term rental market. This is a very specialised market, and short-term serviced apartments or furnished holiday property can make good money. 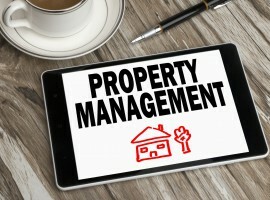 But when you think about it, these aren’t really property investments as much as they are businesses, which sometimes require onsite managers and extra marketing costs. A good example of this is the holiday apartment buildings on the Gold Coast or Sunshine Coast where there is an onsite property manager who looks after the furniture and maintains and replaces it. The manager prefers doing this because it enables them to achieve a uniform look for the whole apartment building and they run the complex like a hotel. If you think you will get better investment returns by furnishing your property, think again: in general, this has not proven to the case.